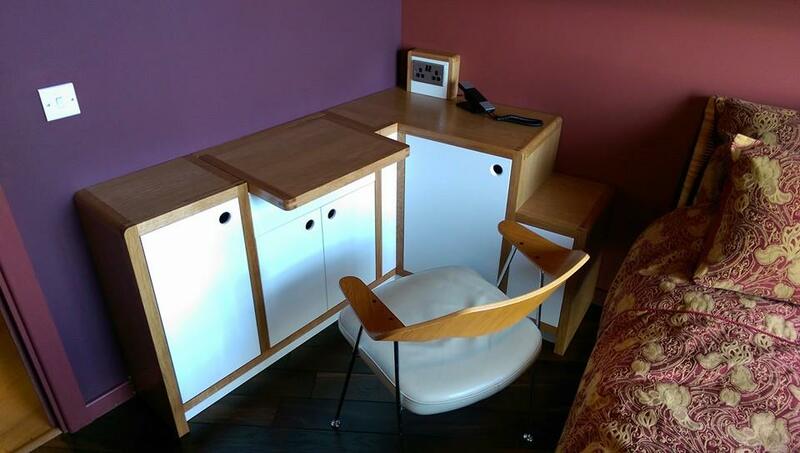 Multi-purpose Oak desk and dressing table to a 10 degree obtuse corner. Made to match an existing wall storage piece made in 2013 for a compact living city apartment. ‘Click’ thumbnails to enter gallery. This entry was posted in Bedroom, Cabinetry, Internal Joinery and tagged bedroom furniture, bespoke cabinetry, european oak, hand painted.